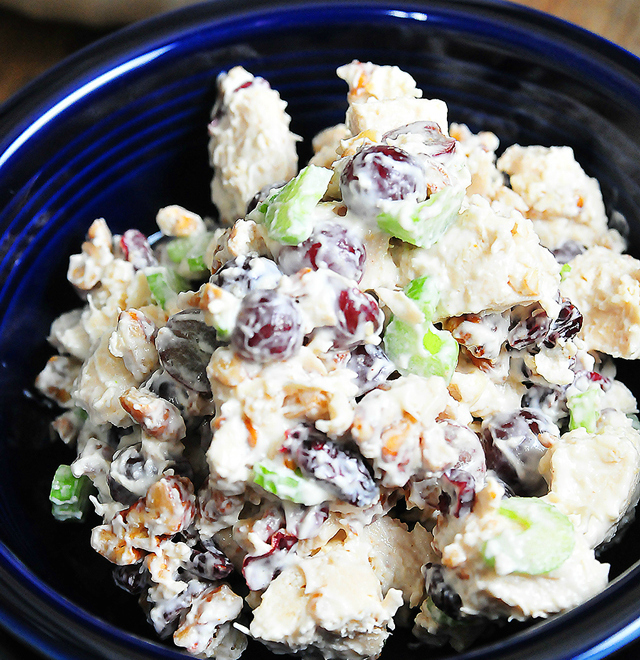 So let me just start out by telling you that I LOVE chicken salad. LOVE it. I could eat it every single day. And why can’t I? I’m an adult and I can do whatever I want. And what I want is to eat chicken salad. Every. Single. Day. 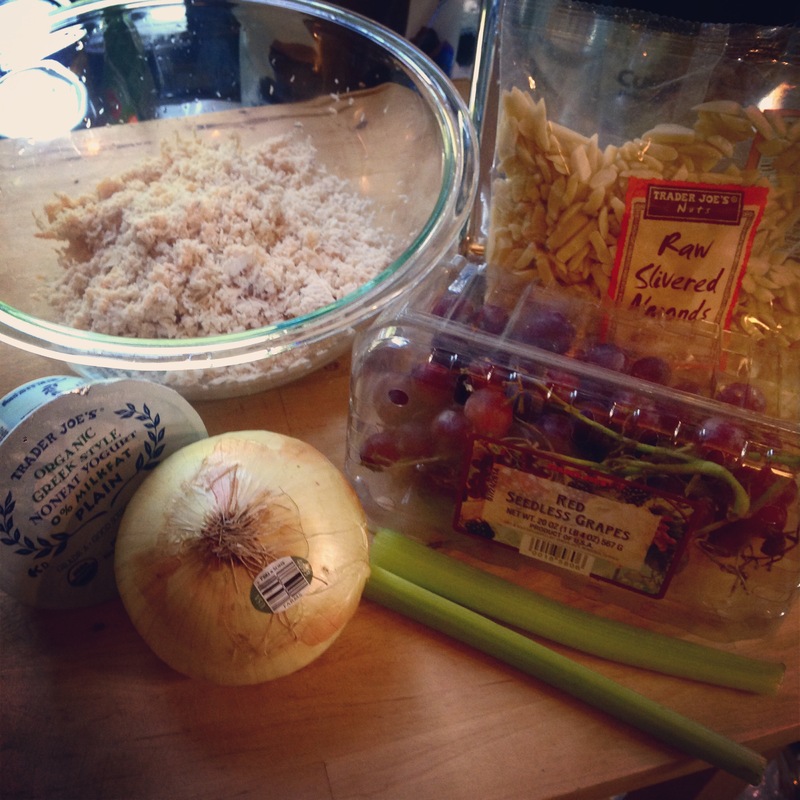 Since I eat this concoction almost daily, I had to come up with a recipe that was both healthy AND simple. Oh yeah, and delicious. After a bit of trial and error, I finally came up with the perfect recipe. Here it is! I start with about a pound of skinless, boneless chicken breasts. I typically buy my organic, free range chicken which you can find at a reasonable price at Trader Joe’s. But whatever chicken floats your boat is fine. Boil the chicken until fully cooked. Allow it to cool, then shred or cube (depending on your preference). Throw into a medium size bowl. From there, I grab the vegetables and start chopping (you can food process the veggies as well, which I do on days that I feel lazy). Once they’re chopped, toss them into the bowl with the chicken. Half or quarter the grapes, depending on their size. Add them to the bowl of awesomeness. Sidenote: I’ve been getting some ginormous grapes lately, so I’ve had to quarter them. Regular size grapes can simply be halved. 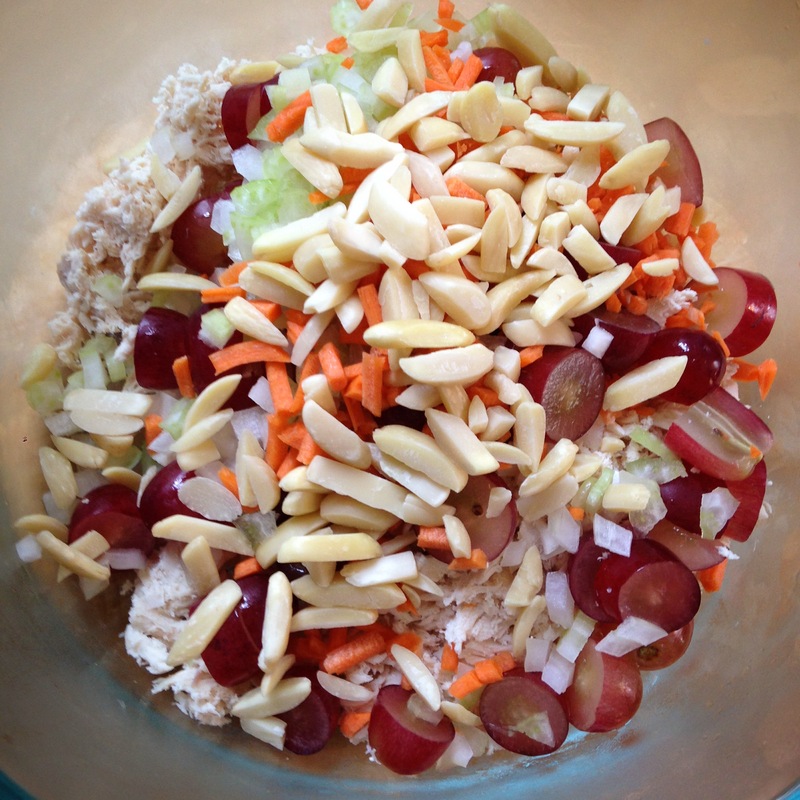 Throw in the remaining ingredients and mix well! You can stop here and just start eating this stuff with a spoon (It’s THAT good). 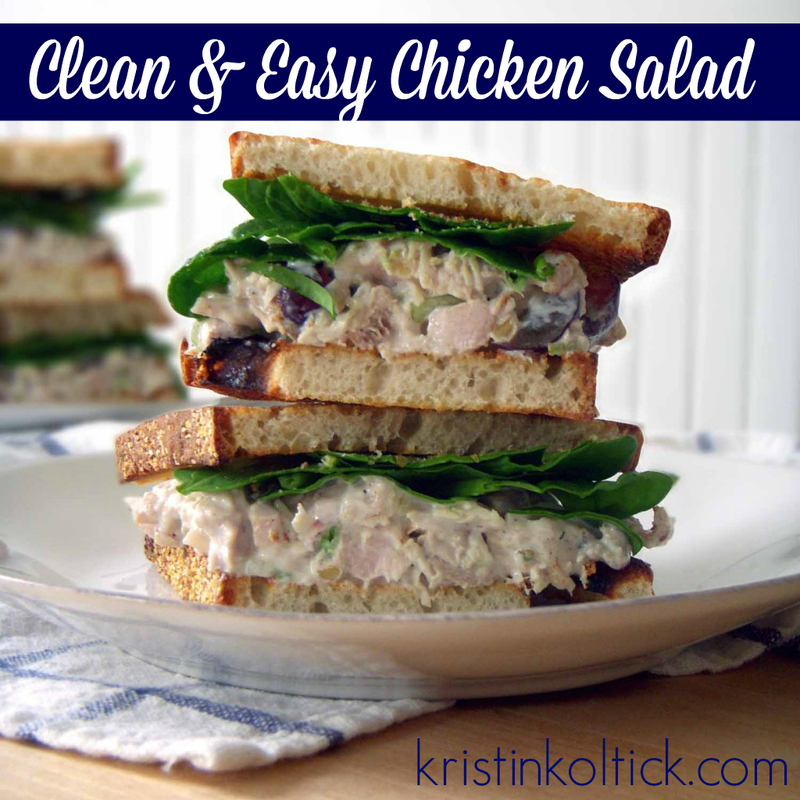 Or you can create the perfect sandwich by spreading this magical, chicken bliss onto a slice of toasted quinoa bread, then top it with romaine lettuce and a fresh slice of tomato! Want to keep this recipe Paleo or Gluten Free? Just grab some fresh greens and make lettuce wraps.